When It Comes to Customer Service, Be Amazing by Shep Hyken - SalesPOP! Want to learn how to be amazing at customer service? It’s actually not that difficult. Wouldn’t it be nice if everyone regarded you as being amazing in sales? Or a wonderful leader? What if you could transform yourself into a person who was always amazing – in almost every area of life? 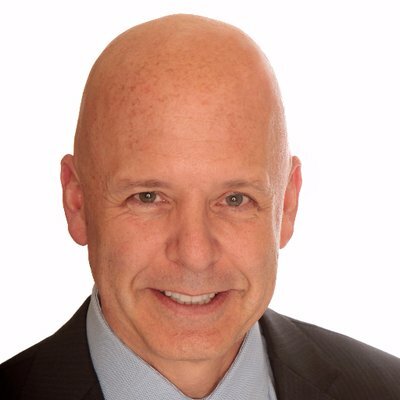 “Always be amazing.” That is the motto of Shep Hyken, who tells us why it’s crucial to be amazing when working in the sales world. John Golden interviews Hyken. How difficult is it to be amazing? Learning how to be amazing isn’t that hard to achieve. “It’s really simple,” said Hyken. “Most people think it’s being over the top, most incredible thing ever. But really, it’s about what you can do to have a goal that’s average a little more than average.” If you can start each day with a goal to try to be better than yesterday, you’re doing fantastic. Even if you fail to be better than yesterday, the goal is to continue a forward march with diligent perseverance towards your end goal. I’m all for shortcuts, and more natural ways, providing they don’t interfere with what someone might perceive as excellence. For excellence and amazement to happen, it just needs to be a little bit better than average, all the time. The bar is typically set very low, and being amazing only requires exceeding the bar. Often, fundamental things that could be done to take a company to the next level are avoided. Hyken gives the example of a dealership washing a car after it gets serviced, or a department store having salespeople available to help you. “Common sense should be more common than it is,” said Hyken. So, if being excellent doesn’t involve an exorbitant amount of effort and work, why is it so hard to deliver on basic expectations? “Sometimes people do deliver on expectations, and sometimes they don’t,” said Hyken. “It’s not always a question of if they’re capable of it or not because they usually are.” The problem comes into play when an organization does not maintain the things they were doing that made them successful. When a process is working to expectations (or exceeding expectations), people can get comfortable. They stop doing the little things or small details that were part of what made that thing a success. To maintain consistency, you must maintain the processes that you put created in the first place. What’s additionally detrimental is that inconsistencies in performance will erode the buyer’s confidence in an organization, or in you. Without confidence, there is no loyalty, and you will likely lose customers to a competitor who can provide more consistency. Pipeliner CRM empowers companies to perform amazing sales and service. Get your free trial of Pipeliner CRM now. 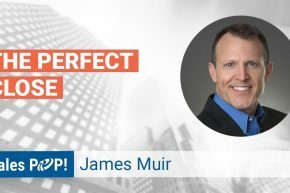 What is the Perfect Close?